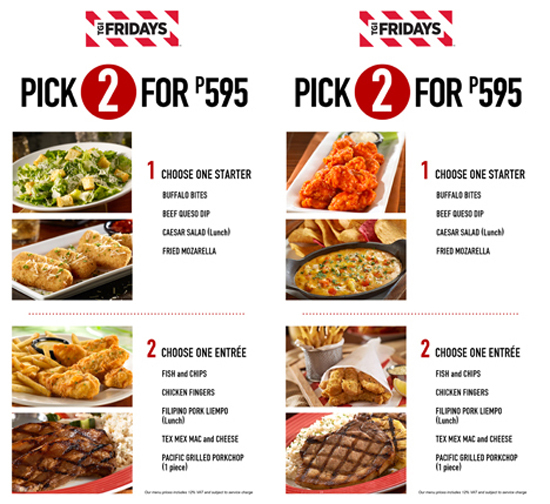 At TGI Fridays, you are spoiled for choice. And at affordable prices at that! Take its “Pick 2 for P595” offer for instance. For this amount, guests get to choose an appetizer and an entrée from an array of some of the restaurant’s signature dishes. These are available at its branches in Cagayan de Oro and Davao. Choose from these delicious dishes to begin your meal: Buffalo Bites, Beef Queso Dip, Caesar Salad (lunch portion) and Fried Mozzarella. If the starter of your choice has tickled your appetite, you are now ready to pick a main course from this selection: Fish & Chips, Chicken Fingers, Filipino Pork Liempo (lunch portion), Tex Mex Mac and Cheese and Pacific Grilled Pork Chop. Whatever you fancy, this attractive offer is guaranteed to satisfy you, anytime of the day, everyday! 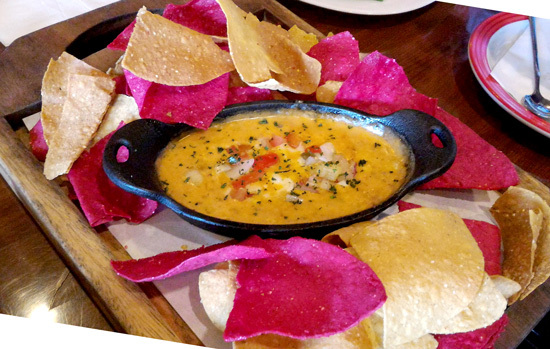 Our two picks when we visited TGI Fridays Davao lately, Beef Queso Dip and Filipino Pork Liempo. Both dishes are irresistibly satisfying. 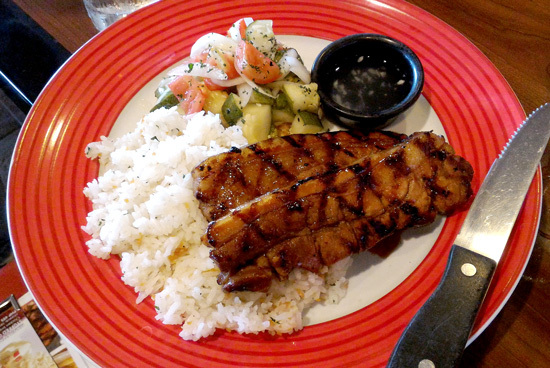 One thing so good about dining at TGIF is that portions are generous and are perfect for hearty eaters. These platters sure are gratifying treats that's worth every dime you shell out for! So good! Also up for grabs are new dishes under the “Taste of New York” promotion. From now until November 30, 2015, enjoy iconic dishes the Big Apple is famous for. After all, it was in New York where the first TGIFridays restaurant was born! Go and have a taste of Bronx Crispy Chicken Parmesan Meatballs, Madison Hotdog, Big Apple Burger, Queens Almond-Crusted Tilapia and Jalapeno Shrimp and Manhattan Sausage Stuffed Chicken. And for a rich and decadent drink, have a sip of the Broadway Peanut Butter Jelly Milkshake.